An hour of workout is important daily to be fit and healthy in our busy routine. It takes a lot to figure out which form of workout is the most beneficial and impactful for one’s body. One of the main reasons to workout is to be in shape and burn calories. However, most of us try and work on them without the guidance of a trainer or an instructor. One should know whether the form of workout picked helps in losing weight or not, or being carried out in the right manner. There are a lot of workouts that can be done at home and have resulted positively, however, workouts like kettle bell, yoga and others are recommended to be down under a trainer. Exercising is a must because it results in a healthy and fitter body, besides releasing those happy hormones to keep you active. Here are some workout forms which are best to burn calories but one might have to be patient to see better and effective results. Without any particular techniques to follow, walking is one of the easiest and effective ways to burn calories. One requires dedication and discipline to make sure that he or she is walking everyday for a certain amount of time. 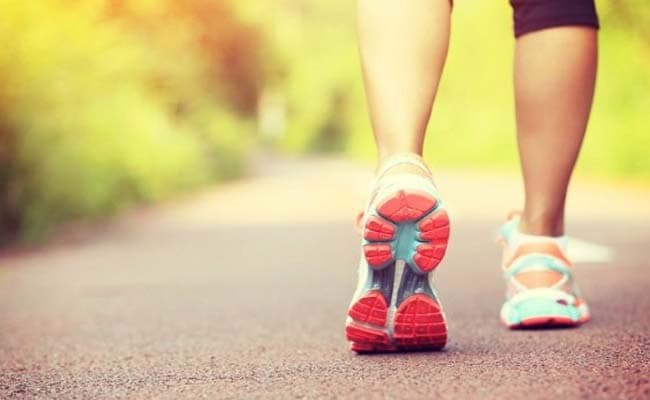 You can increase the minutes of walking once you have developed stamina. Patience is the key here. Although walking doesn’t give immediate results, it gives effective and long term results. Kettlebell workout has proven to be one of the best forms of exercise using just one equipment. It doesn’t just burn calories, but also helps you lose weight in a short duration and develop strength. One should use kettle bell under someone’s supervision because of the breathing techniques that have to be followed to perform it correctly and ensure that it doesn’t result in back pain or any other injury. Strength training or weight lifting as it is more commonly called is a type of physical exertion in which you induce weights to burn and tone muscles. According to Nilparna Sen, a Surat-based strength coach says, “Cardio will burn calories while you are working out, but for overall strength, I will recommend strength training. It helps in the burning of calories even after the workout and in maintaining body composition. By body composition I mean carrying more of muscle mass and less of fats.” One can also opt Crossfit workout, which includes exercises like pushups, sit ups, pull ups, lunges etc. A person weighing 90 kg is known to burn 228 calories per hour if he performs yoga. A yoga might be a form of exercise that takes longer to show result but if done correctly, it helps you burn calories and tone up with all the stretching. Power yoga can help in increasing flexibility. While swimming, the water resistance makes you work harder and faster hence you burn more calories. You can burn about 372 calories in 30 minutes of breast stroke (for a person weighing 70 kg). Since in swimming the entire body is at work, arms through strokes and legs because of the kicking, a person tends to lose weight evenly. Running or cycling can have the same kind of results. Make cycling more effective by adding some resistance when you cycle. 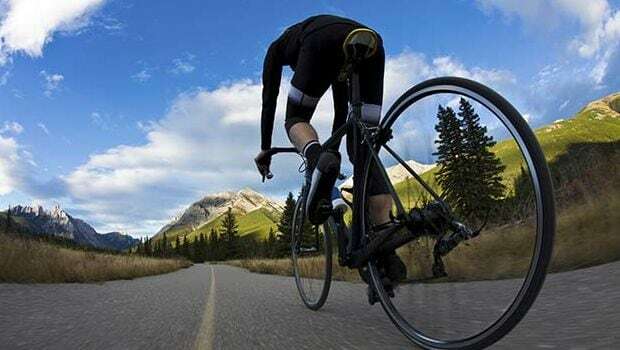 It’s easy to cycle down the hill, or on flat roads, but riding uphill and pushing yourself a bit can help you burn more calories (around 350 calories in half an hour), as well as strengthen your muscles. Leisure cycling burns 350 calories in an hour. 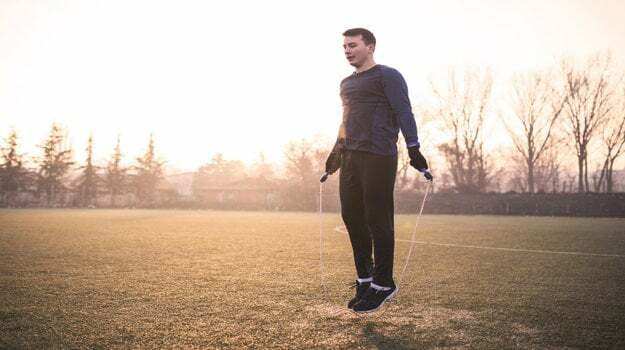 A person is said to burn 372 calories in half an hour if he or she jumps ropes. The only trick you need is to keep jumping and try not to stop in the middle. You will run out of breath but don’t drink water in the middle of the exercise. When kids jump ropes it may seem effortless but in reality it’s taxing and a great way to burn calories. You can jump ropes in breaks. When taking a break from jumping, you can jog around so as to not completely break from exercising.